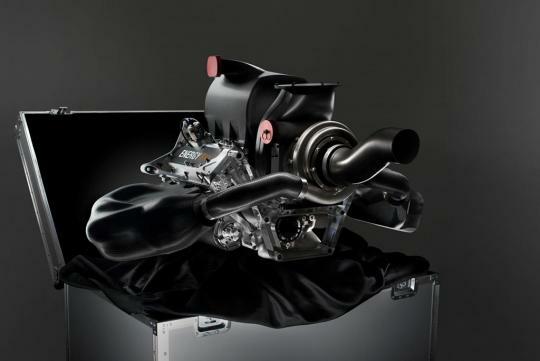 Renault has unveiled their new 1.6-litre F1 engine at the 2013 Paris Air Show. The direct-injected V6 unit is equipped with an exhaust-driven turbocharger, two motor generator units (MGUs) with an Energy Recovery System (ERS). For reader's information, come 2014, the current 2.4-litre V8 engines which rev to a maximum of 18,000rpm will be replaced by 1.6-litre V6 turbocharged power units revving to a maximum of 15,000rpm. 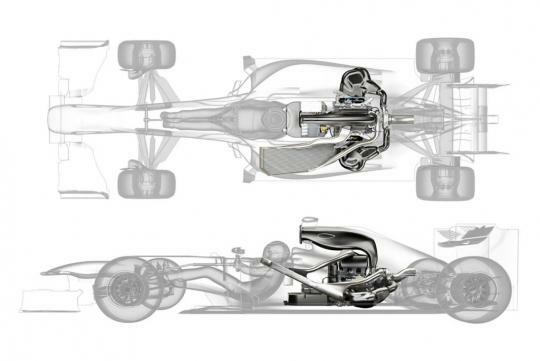 The MGUs are capable of producing 160bhp while the turbocharged 1.6-litre V6 churns out approximately 600bhp, bringing the combined output to roughly 760bhp. Although the output is higher than the current V8, fuel efficiency is claimed to improve vastly by about 35 percent. 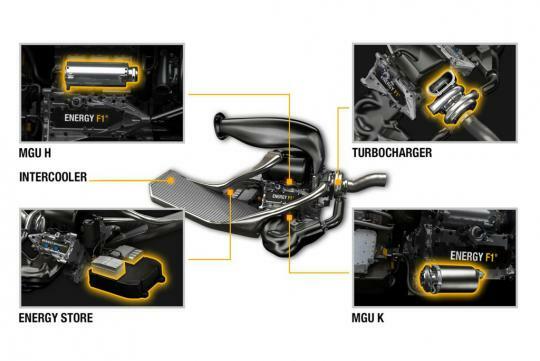 On the new engine, Renault's Deputy Managing Director (Technical), Rob White, explained, "The engines remain high-revving, ultra-high output competition engines. Fundamentally the engine noise will still be loud. The engine noise is just a turbocharged noise rather than a normally-aspirated noise: you can just hear the turbo when the driver lifts off the throttle and the engine speed drops. The sound of the new generation power units is just different (from the preceding V8)". 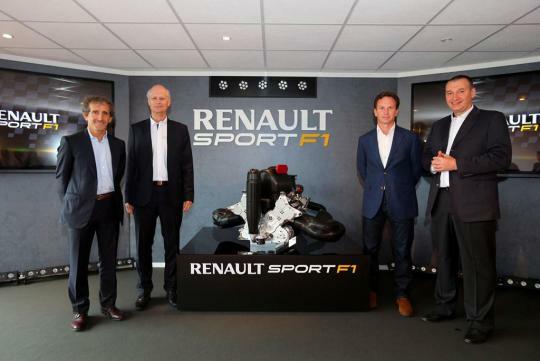 Renault has released a video alongside with the launch and interestingly, it seemed like a video promoting Adidas products at certain points. Yes! Back then this model Toyota dare claimed theirs is the fastest 1.6cc production car in the market.